Today the beach is calling me. Unfortunately, with monsoon rains happening outside I am forced to live vicariously through the MGM’s beach party movies. In the 4 beach party movies she is featured in, Donna never had a story line at all, only brief moments of musical bliss. After several appearances on ABC’s Shindig! 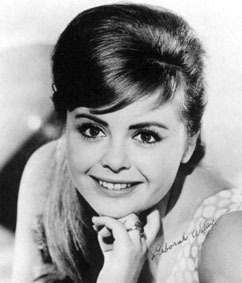 up until 1967, Donna seemed to disappear(apparently she became a designer and has her own shop in Hawaii). Miss Loren, I miss your upbeat songs of heartbreak, your triangular bathing suits and your Aqua-net saturated hair. Tags: 60s, Annette Funicello, Beach Blanket Bingo, Beach Party, Bikibi Beach, Donna Loren, Dr. Pepper Girl, Muscle Beach Party, Pajama Party, Shindig! The tragic loss of class on airlines, especially as it pertains to stewardesses, is a setback that causes me hurt on a daily basis. If the goddesses of the sky would once more refuse to recognize the feminist movement and cease to wear loafers and baggy pants, I am positive that I would not currently be a student in sticky Savannah but rather in mid air on my way to Vegas, serving drinks to illustrious men in skinny ties. Hopefully the lovely ladies of the CWs new reality show Fly Girls will revive the long lost class of the ’60s. 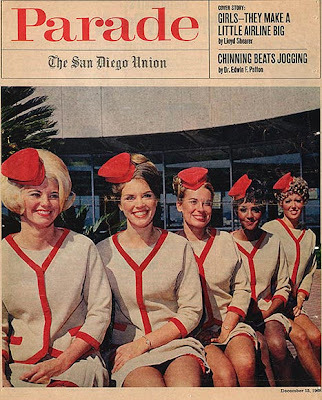 Air hostesses, I miss your snug pencil skirts, pill box hats and your easy virtue. UPDATE: October 4, 2009- The stewardess’ on Delta are now wearing jeans and T-shirts. Airline class is at an all time low. 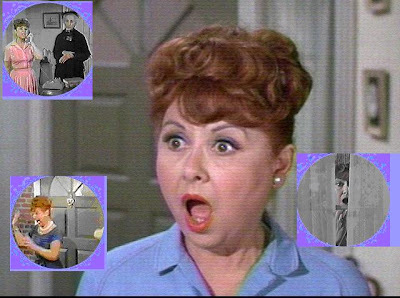 Do you remember that neighbor with her nose constantly stuck in-between the blinds from Bewitched? Well yesterday I found out that Gladys Kravitz, better known as actress/writer/chef Sandra Gould, has published a sling of dating advice books and articles for women in the mid 1950s. I have spent the better part of my night searching for her cookbook Sexpots and Pans, a woman’s guide to cooking her way into the heart’s of 47 different types of men. Good news, I always wanted to know what to feed my cheating athletic build date. Sandra G, I miss your skepticism and your sexism.